This is a student's window overlooking a courtyard in the oldest university in the world. 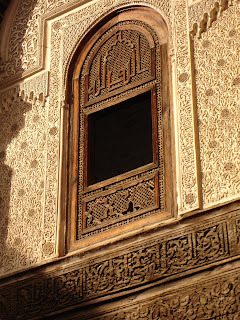 It is deep in the maze of the medina in Fez Morocco, the old city, a labyrinth built to discourage and repel invasions. Unesco Word Heritage Project has a quick video. It's an amazing place. Parts of it are in Sacred Scars. click to appreciate the incredible delicacy of the wood carving. 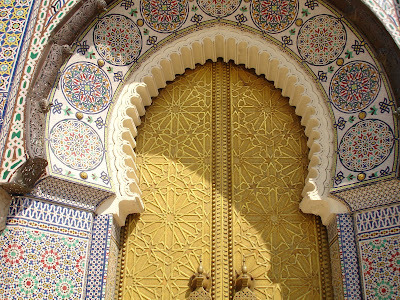 Click on it to appreciate the mosaic details. It's here in the blog today because I woke up thinking about it ...and about doors, what they mean to me. I have hundreds of photos of doors from everywhere I have ever been. Not sure why. But this one has found its way into the new book...the one to follow the Resurrection of Magic trilogy. It's just a note file now, but it glows in the dark for me. I know the title and much of the story. This door belongs to a man who is holding my protagonist captive. It is the door she must somehow open. So she can run. 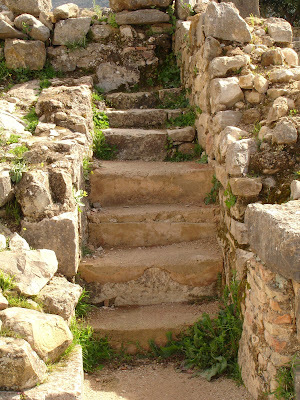 These stairs are in Volubilis, the ruins of the southernmost outpost of the Roman Empire, in Morocco. 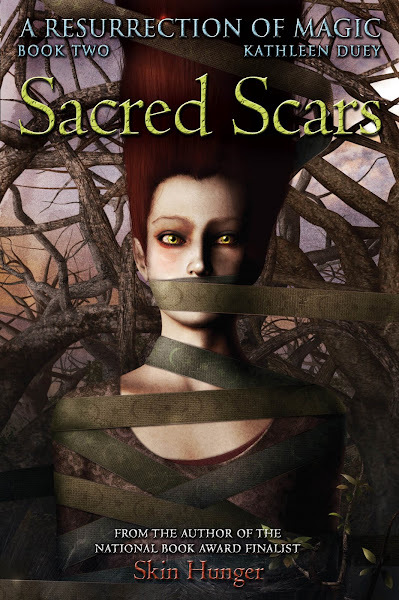 I am moving them into my book, Sacred Scars, near the ancient city of Limori, placing them where Sadima might find them. But I don't think she will. Not yet. May Gray, That's what the locals call these wonderful foggy mornings. I love them. I get a lot of writing done. Which is good because I have a lot to do--several projects in motion. Sacred Scars is primary. I live in southern CA. 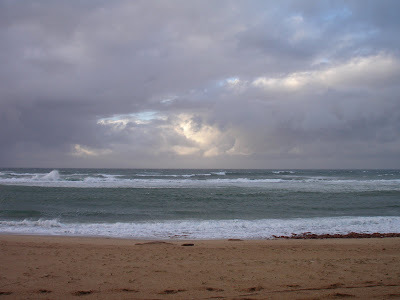 This is the Atlantic , Rabat, Morocco. 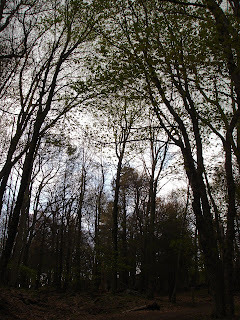 The photo was taken in the Shenandoah Forest, several years ago at an SCBWI writers' retreat. Enlarge it and look at the horizon line, left of center. You can see her silhouette. I can.